The public are being asked to look for unusual symbols in their houses as part of an effort launched by the government. The marks – also called apotropaic marks, from the Greek word for avoiding evil – are ritual protection symbols from a time when witchcraft and the supernatural were popular. The markings have previously been found in historic buildings, like the house where Shakespeare was born and the Tower of England. They’re thought to have been used as a protection symbol, keeping the people inside the house safe from witches and other threats, and are most often found in buildings from around 1550 to 1750, the BBC reports. But a full record of where the symbols appear has never been taken, and so it isn’t clear how common they are or where they tend to appear. So to better understand them, and in the spirit of Halloween, Historic England has asked the public to look out the for the symbols, and submit any information or pictures that they find. 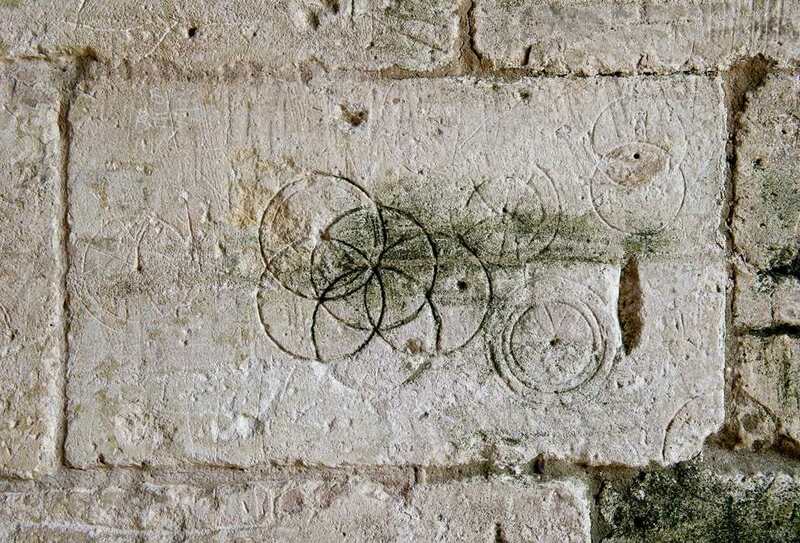 Markings range from the ‘daisy wheel’, the most common type of mark which looks like a flower with a compass, to ‘Solomon’s knots’ and pentangles. They often take the form of letters such as AM for Ave Maria, M for Mary or VV, for Virgin of Virgins to evoke the protective power of the Virgin Mary. Ritual marks were cut, scratched or carved into our ancestors’ homes and churches in the hope of making the world a safer, less hostile place. They were such a common part of everyday life that they were unremarkable and because they are easy to overlook, the recorded evidence we hold about where they appear and what form they take is thin. We now need the public’s help to create a fuller record of them and better understand them. If you happen to live in or near a medieval building, you can record your findings here.